We had lunch under a nice shade tree next to the Arc de Triomphe du Carrousel. 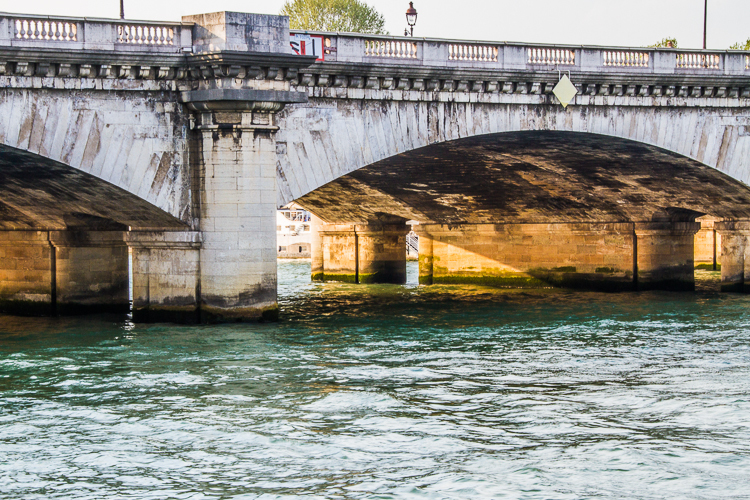 As we moved over to the Seine we were excited to get our first walk along the Seine, we were not able to do this in our past two trips to Paris! 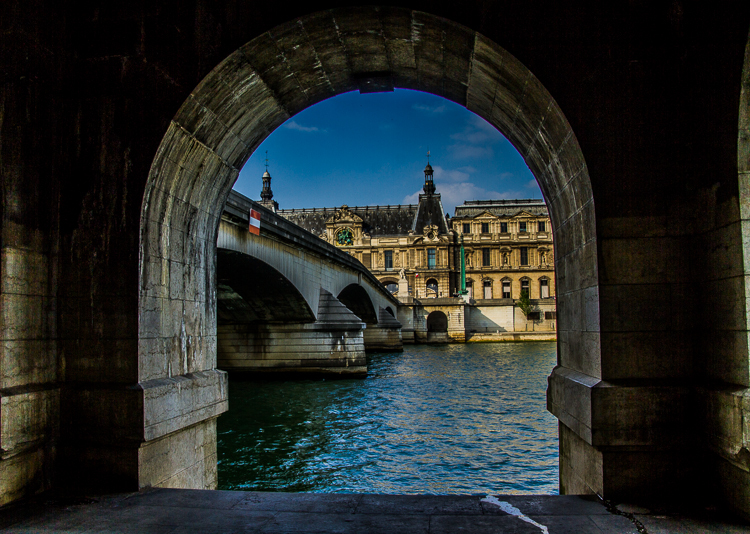 We crossed over the Pont du Carrousel and went down the steps to follow along the left bank down river back to Pl de la Concorde. 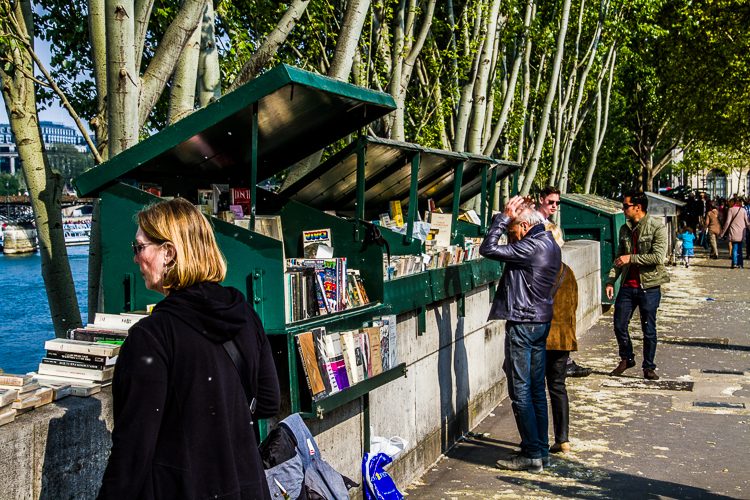 As we crossed over we came across one of our favorite things to do, to browse through the open street sellers along the way to our entry point to the Seine! Before ascending to the rivers edge we had to stop and browse! 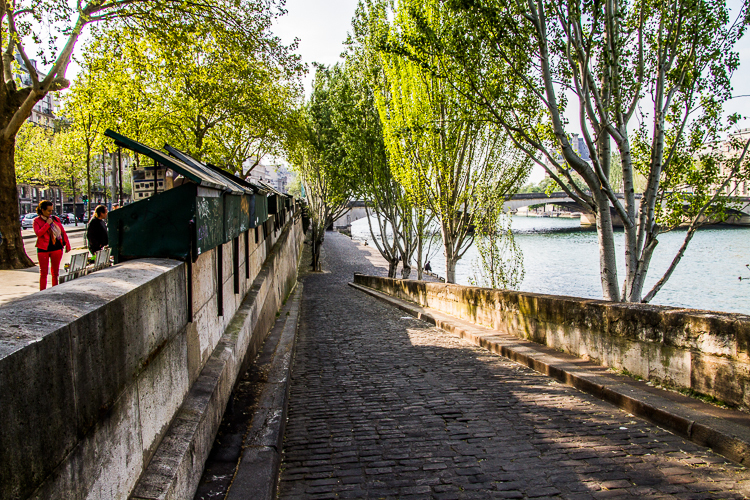 The ramp to the Seine! 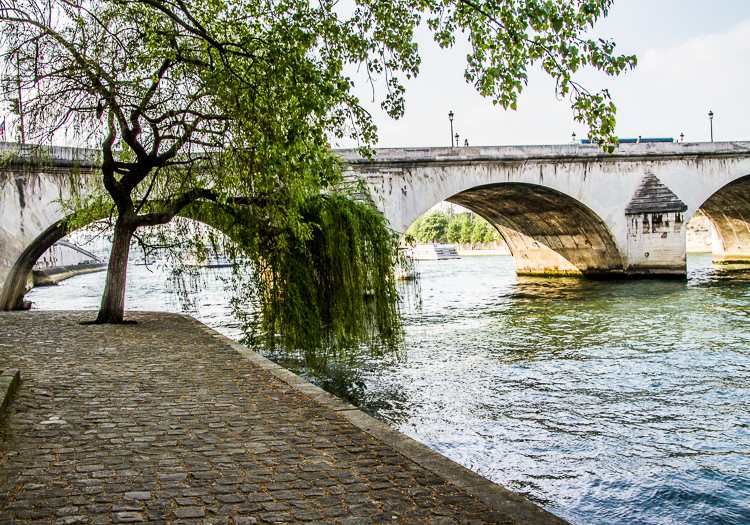 Looking down river at the Pont du Carrousel. 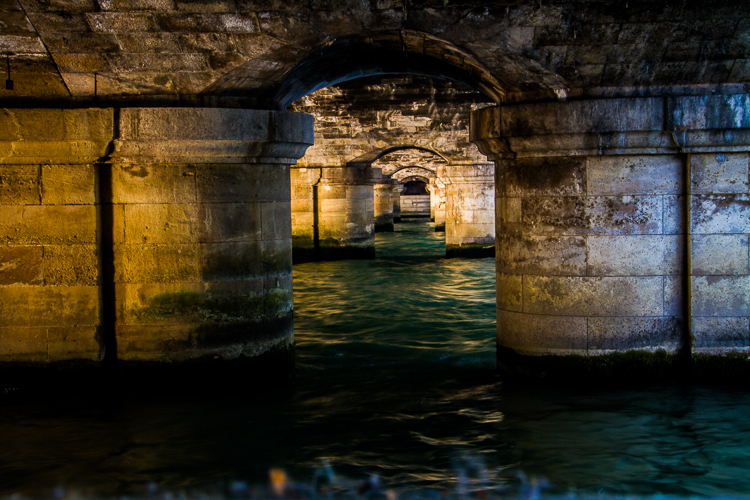 End of this part of the walk at Port Royal! 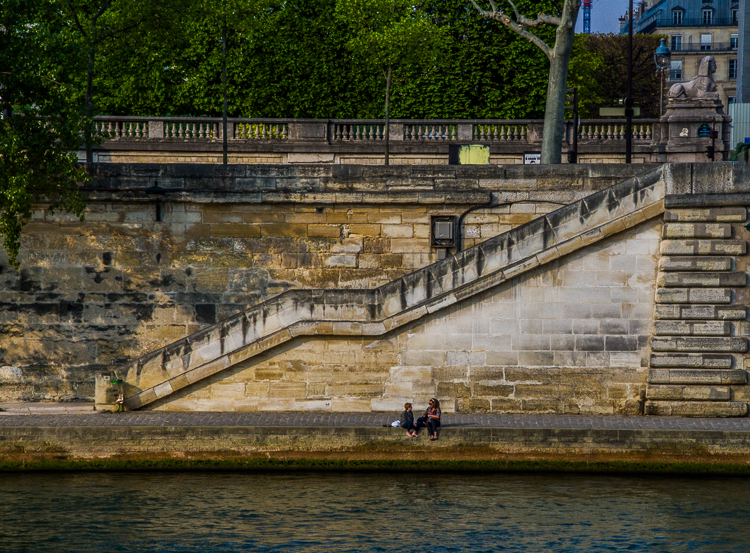 Stairs at the right bank of Pont Royal! 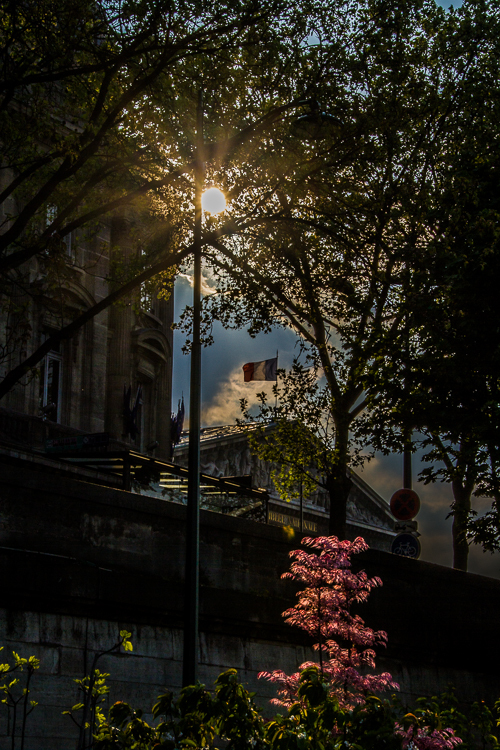 Along the Seine the sun shines through the tree leaves and lights up a tree in bloom! 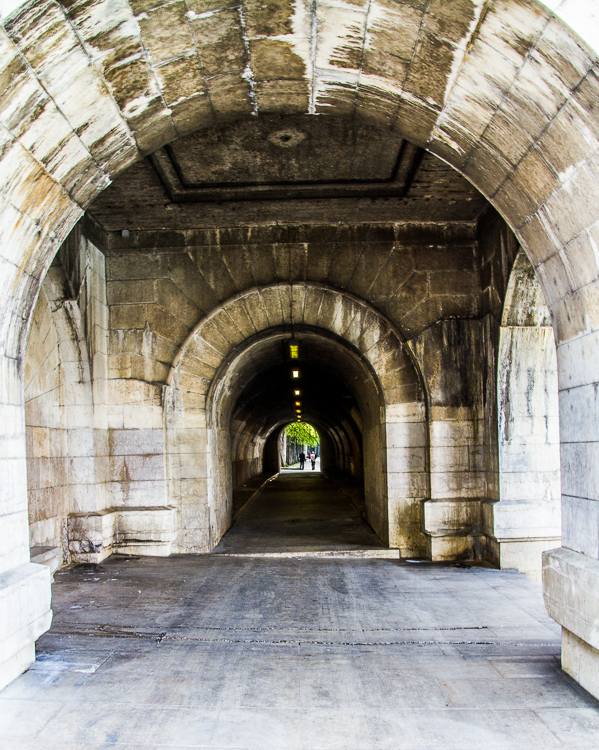 Beneath Pont de la Concorde! 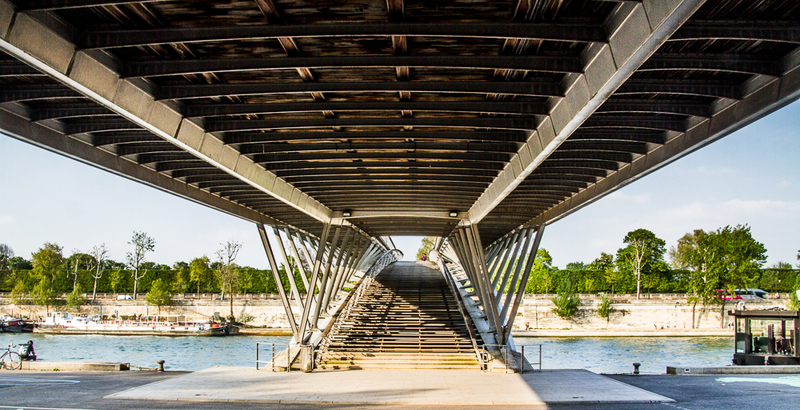 The low afternoon sun reflecting beneath Pont de la Concorde! Looking down river at the Seine from top of the Pont de la Concorde! 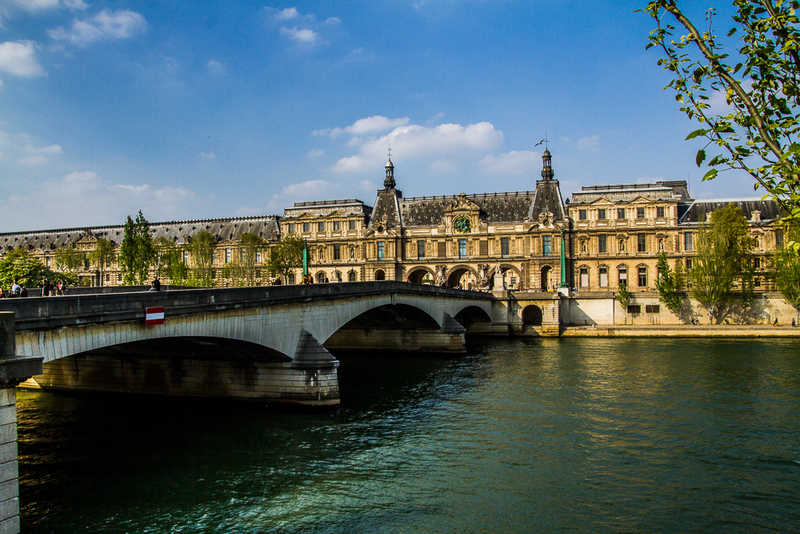 Looking up river at the Seine from top of the Pont de la Concorde!